Bring nature to your classroom! 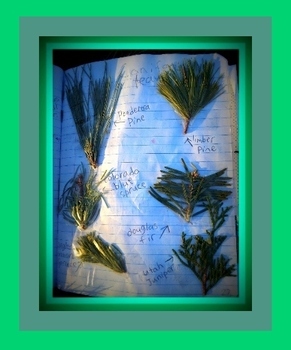 In this wonderful leaf activity, the students investigate various coniferous leaves and determine what coniferous trees they are from. They use the dichotomous classification key to coniferous trees to correctly identify the names of most common coniferous trees. Included is also my lesson plan that shows step-by-step how I implemented this leaf identification activity during my science lesson. The activity is a lot of fun, investigative work and my students enjoyed it tremendously. It is also aligned with the Utah core standard for science (Standard 5, Objective 3): Use a simple classification system to classify unfamiliar Utah plants or animals. This key will save you tons of work. I literally spent hours meticulously putting it together. Enjoy!